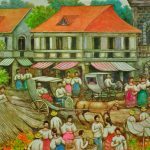 Manila and the towns surrounding it from the 30’s to the 50’s was the ideal theater for a culture that was eminently respectable and thus teeming with Filipino ladies and gentlemen. People on the streets would make new friends among those whom they meet for the first time. 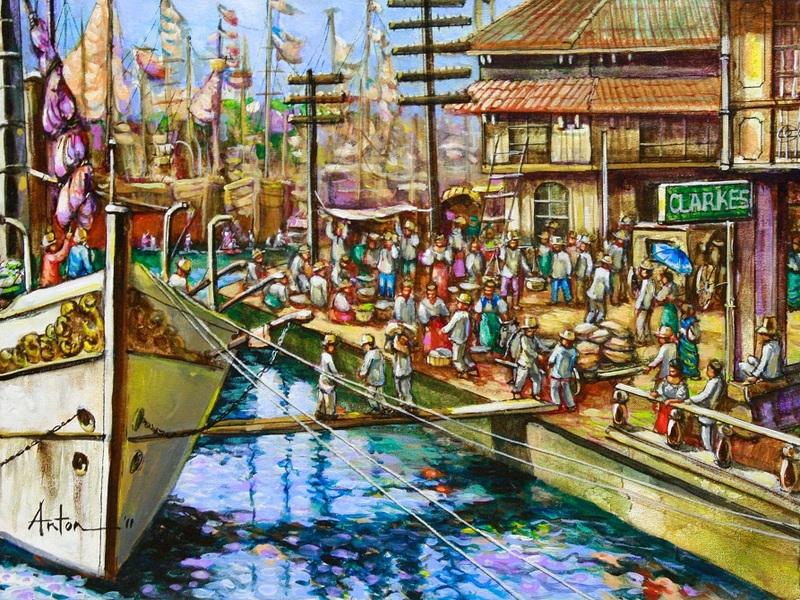 The mores were more of the turn-of-the-century Manila that were still much in evidence. 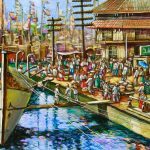 Every tale surfaced as an interesting story and the stories had a common theme: that of the ideal Manila, to which artists Eberle Catampongan and Anton Mahilum have been similarly impressed and have grown accustomed to in their paintings. 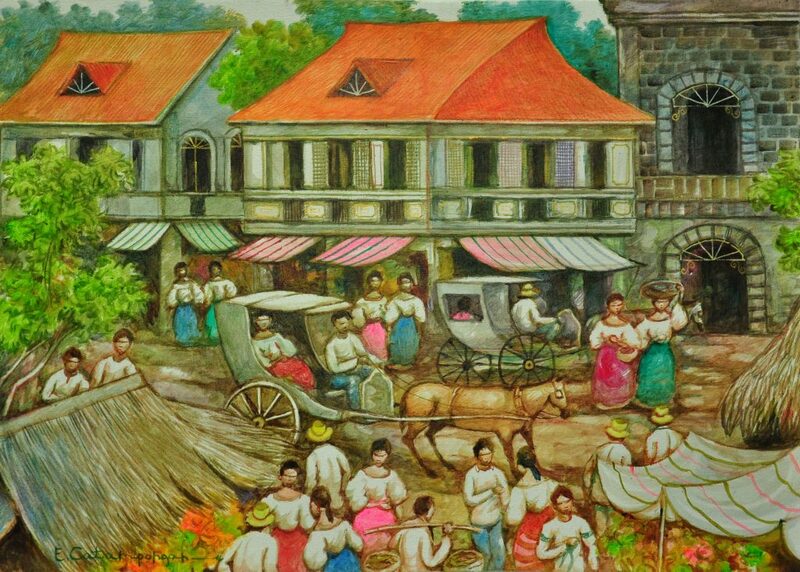 Eberle Catampongan’s artworks have the salient characteristic of that historic past: a respect for our history and traditions that approaches reverence. 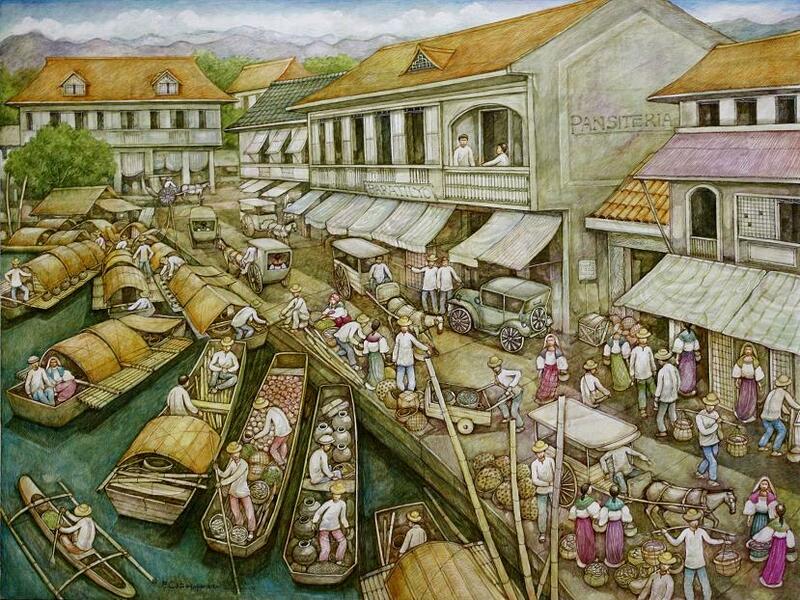 His background in architecture reflects the intricate details of Filipino rustic towns, in which he is well-known for. 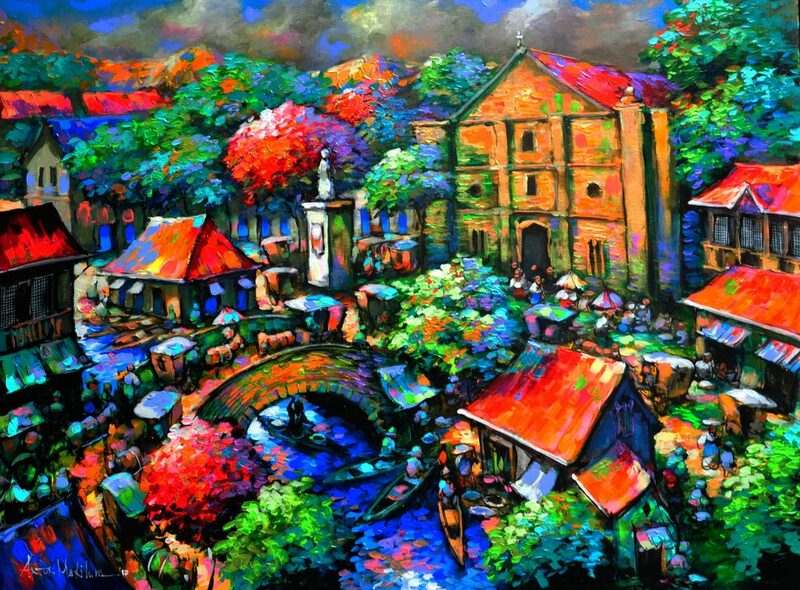 Anton Mahilum did not shy away from bold use of colors in his paintings and is not afraid to innovate. 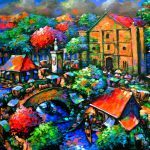 The traditional subject in contrast to his cotemporary use of vibrant hues seeks to give off an aura of warmth, brilliance and vitality of old towns we usually see from black and white photos. 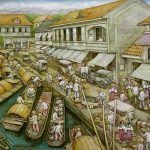 Eberle and Anton’s works in large canvas seeks to impress with crowded streets bustling with activities and architecture that provides a unique rendition of an ideal city. A theatre view that succeeded in causing our appreciation today for its charms that grows with repeated sightings. These two talented artists manage to bring a historic emotion and nostalgia, immortalizing the splendor of our old towns and cities and hoping to inspire audiences enough to pursue the prestige the city carried before.